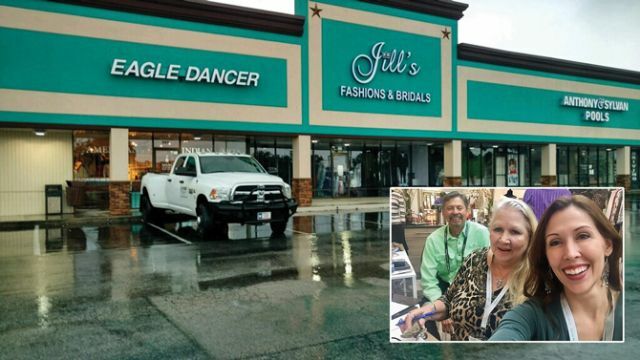 Jill’s Fashions & Bridals in League City, Texas, escaped building and inventory damage from Hurricane Harvey but concerns about the storm’s long-term impact on consumer confidence and spending linger. Inset: Jill’s Fashions & Bridals owners Ricardo and Diana Montes with their daughter, manager Danielle Smith. A dozen years after Hurricane Katrina pummeled New Orleans, parts of the city are still being rebuilt. Pearl’s Place in New Orleans was well prepared for Hurricane Katrina, reopening for business shortly thereafter. Business was anything but normal however. 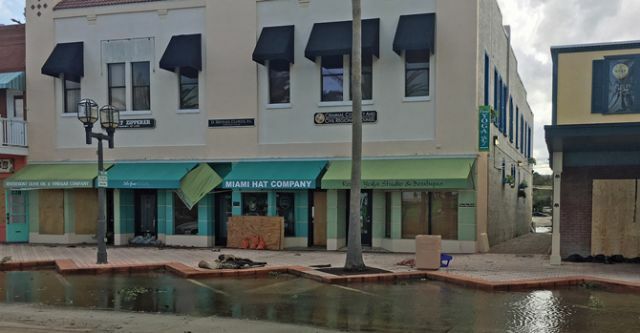 Ashley Sipos, owner of Lola Grace in Daytona Beach, Fla., boarded up her store’s windows, placed sandbags at the doors, unplugged and packed electronics and moved everything to the center of her showroom in preparation for Hurricane Irma. 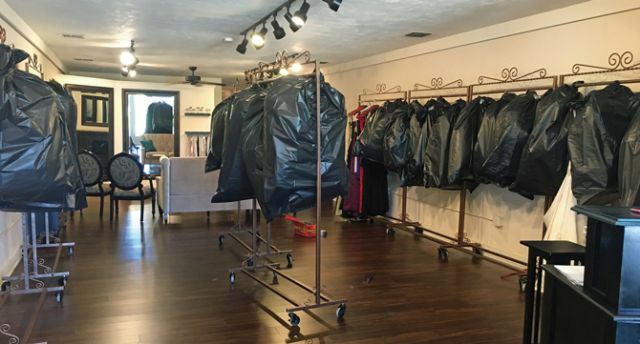 To minimize damage from Hurricane Irma, Ashley Sipos, owner of Lola Grace in Daytona Beach, Fla., placed dresses in garment bags, folded them in half, hung them from high racks and then placed them inside giant contractor bags. 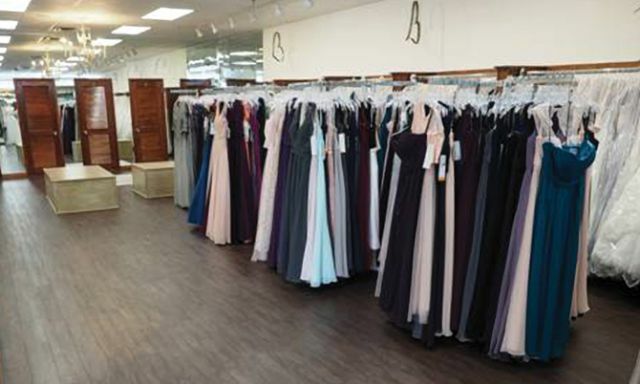 Charlotte Bridal Boutique & Formalwear in Port Charlotte, Fla., sustained major damage in 2004 by Hurricane Charley. While the store’s losses were fortunately covered by insurance, business experienced a permanent change. In an industry that revolves around love, it would be easy to assume those are merely the names of couples with impending nuptials. Instead, that’s a list of hurricanes that formed over the Atlantic Ocean this calendar year, a number of them hitting the U.S. mainland and inflicting widespread damage to homes, businesses and lives. 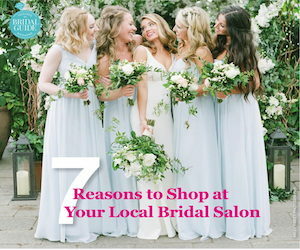 For bridal shops impacted by this year’s robust hurricane season, the hardships often extend well beyond the storm’s excessive winds, rains and flooding. There’s typically downtrodden emotions, relocating residents, frustrating battles with insurance companies and long recoveries characterized by cautious consumer spending, all of it comprising the long, slow crawl back to normalcy. And some don’t – or won’t – make it. 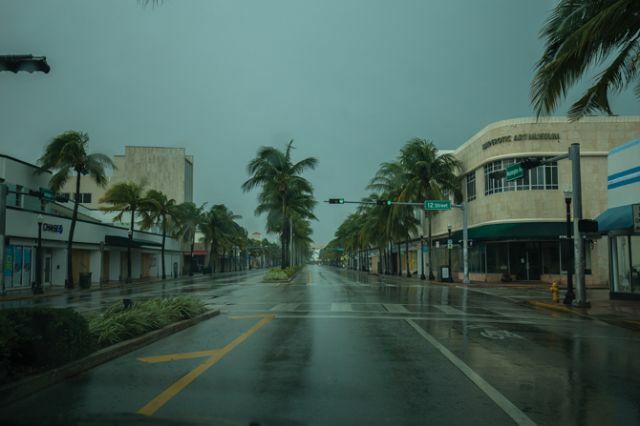 The U.S. government, in fact, estimates that four in 10 small businesses never reopen following a weather-related disaster, a figure that underscores the power of Mother Nature’s wrath as much as the perils of entrepreneurship. With hurricanes capturing headlines this past fall, VOWS spoke with bridal retailers impacted by hurricanes both past and recent to understand their plight, track their path to recovery and, ultimately, celebrate their perseverance in the face of potentially crippling circumstances. As Jill’s Fashions & Bridals in League City, Texas, had endured Hurricane Ike in 2008, ownership knew better than to disregard the hefty punching power of a hurricane, even one such as Harvey that was originally categorized as a tropical storm. “You absolutely have to take these storms seriously,” says Danielle Smith, who has owned the 2,500-square-foot bridal shop with her mother, Diana Montes, for the last 14 years. As Harvey approached League City this past August, Smith activated a plan to protect the building and put customers at ease. She stored all dresses 4 feet off the ground and contacted brides to inform them that they could pick up their dresses immediately if they wanted that peace of mind. After the storm hit, Smith contacted her employees – all were safe and out of harm’s way – and then visited her shop. While there was roof leakage along the shop’s strip center, Jill’s building and inventory escaped damage. “The only thing we lost was a computer keyboard,” Smith says. Jill’s was also spared from the storm’s floodwaters, a rather amazing feat given that many neighbors suffered significant damage from the run of water throughout the city. Some, in fact, were airlifted to safety. “Harvey did its damage quick, but the floodwaters are what really packed a punch,” Smith says. The store was closed for nearly a week, resulting in a chaotic scene given the prevalence of fall weddings in metropolitan Houston. The first day Jill’s reopened, it was strictly for pickups. In the subsequent weeks, the store tried to rediscover its pace. To spur traffic in Harvey’s aftermath, Jill’s unveiled ambitious discounts. Smith placed homecoming gowns priced under $250 on sale for $99 and offered those above $250 for $150. Jill’s also waived outside alteration fees to generate traffic. Moving forward, Smith fears what the future could bring her area, especially as local residents work to rebuild their homes and lives amid unanswered questions, particularly what insurance might or might not cover and the vitality of local employment. She wonders how long consumer confidence might languish and how her store might continue to endure an atypical business climate. The storm, after all, represents just one wave of damage. A dozen years after Hurricane Katrina pummeled New Orleans and its Gulf Coast neighbors, taking more than 1,800 lives and causing more than $108 billion in damages, Pearl’s Place remains standing. In itself, that’s a triumphant victory given the long recovery New Orleans experienced in Katrina’s aftermath, which included declining population, widespread financial woes and a multi-year trudge back to normalcy. Opened in 1970 in New Orleans’ Jefferson Parish, Pearl’s Place prepared for Katrina by placing its bridal gowns, computers and hard-copy records on the fifth-floor of a neighboring storage facility. Then, Pearl’s owner Fred Schulman and his family put burglary shutters on the store and evacuated to Houston alongside thousands of others from the Big Easy. Days after the storm, Schulman returned to New Orleans. Rumors swirled that Pearl’s was destroyed, and Schulman heard reports that his store was sitting under 10 feet of standing water. Fortunately, those rumors proved untrue. “It wasn’t the doomsday we feared,” Schulman says of Pearl’s, though both his son and daughter, two family members deeply involved in the store’s operations, lost their homes in the storm’s wrath. 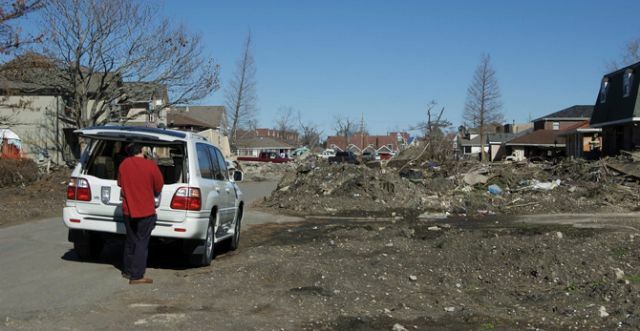 In the two weeks after Katrina’s departure, Schulman communicated with dozens of fretting customers each day while also shuttling back and forth between New Orleans and Houston to hand deliver or ship dresses to customers who had evacuated New Orleans. On Sept. 14, 16 days after Katrina made landfall in Louisiana, Schulman and a crew carried dresses, computers and records from their storage facility holding spot to Pearl’s Place. The following day, Pearl’s reopened, the first local bridal shop to do so, Schulman recalls. Though Pearl’s might have had its doors open, however, business was anything but ordinary. Schulman says the city was “totally dark.” Streets once teeming with energy sat silent and still. “Today, things are normal and we’re still here, but some parts of the city are still being rebuilt while others have barely come back to what they once were,” he says. Though Schulman held business interruption insurance for Pearl’s, he didn’t receive a dime for the time Pearl’s was closed. Yet more, his flood insurance claims for damaged air conditioning units were also denied. Those were tough pills to swallow, he says, but the most difficult part was watching customers dispute credit card charges even after they had received their goods, sometimes from Schulman himself. As Hurricane Irma approached Florida’s Atlantic coast in early September, Ashley Sipos began readying plans to minimize damage to Lola Grace Bridal, her six-year-old shop in Daytona Beach, Fla.
And she found help in a familiar place. 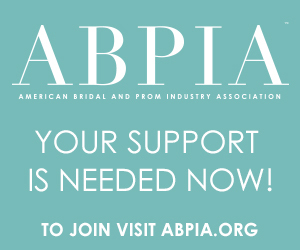 Soliciting tips and thoughts from different bridal industry groups on Facebook, Sipos prepared a plan that would position Lola Grace to minimize the storm’s damage. She placed all of her dresses in garment bags, folded them in half, hung the gowns from high racks and then placed them inside giant contractor bags. “That alone took a day-and-a-half,” she says. Thereafter, she boarded up her store’s windows, placed sandbags at the doors, unplugged and packed electronics and moved everything to the center of her showroom. “Not knowing what was coming, we took some great advice from others and ran with it,” says Sipos, who has owned Lola Grace since October 2016. Retreating to her home six miles away from her store, Sipos monitored the storm and hoped for the best. When her sister sent her a photo of Beach Street, Lola Grace’s home in Daytona Beach’s historic district, amid the storm, Sipos’ heart sank. On Sunday, September 10, just hours after Irma’s departure, Sipos ventured to Lola Grace. She was quickly overcome with emotion and gratitude when she saw only minimal damage. All things considered, though, Sipos was grateful she dodged significant damage. While some baseboards and the flooring needed to be replaced, something the landlord of her 107-year-old historic building addressed, all inventory and key business materials were safe. Family and friends, meanwhile, helped Sipos repaint the shop and add new lighting, a happy result amid challenging circumstances. All told, the store was closed for nearly two weeks. And sales wise, Sipos says, September wasn’t the disastrous month she feared it could be. 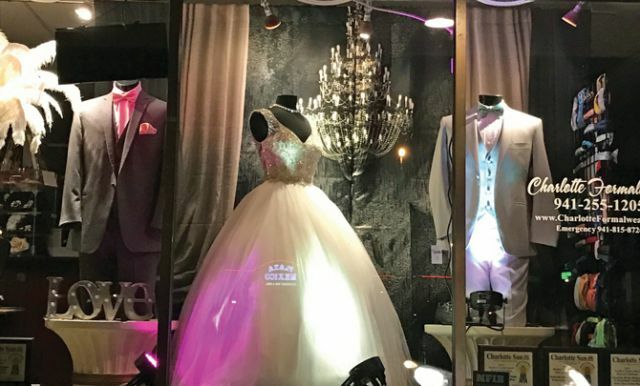 In 2002, Lynn Atkins opened Charlotte Bridal Boutique & Formalwear in Port Charlotte, Fla. Over the next two years, Atkins built up her business to a promising level. Then, in 2004, Hurricane Charley turned toward The Sunshine State’s Gulf Coast and threatened to derail Atkins’ positive momentum. A Florida resident since childhood, Atkins had lived through enough hurricane warnings to resist getting “too excited.” Still, she took some necessary precautions: backing up computers, elevating gowns off the floor and boarding up her store windows. It didn’t. Hurricane Charley hammered the area with 150-mph winds and delivered an estimated $16 billion in damages. The evening after the storm’s departure, Atkins ventured to Charlotte Bridal with her husband and brother. As she passed by leveled homes and scattered debris, she wondered what she might find at her store. When she arrived at Charlotte Bridal, the store looked exactly as she had left it. “But then we walked in the door; we looked up and all we saw was the sky,” Atkins remembers. The storm ripped off the building’s roof and the interior of the store was destroyed. “It was heartbreaking,” says Atkins, who began loading bagged-up bridal dresses into a pickup truck and moved the gowns to the homes of her mother and mother-in-law. Days later, Atkins rented a mobile trailer, parked it in the driveway of her mother’s home and created a pop-up shop. For the next nine months, that trailer served as Charlotte Bridal’s home base. Though Atkins was able to service every wedding on the shop’s books, new business only trickled in. “This town was devastated and there was an obscene percentage of local homes without roofs and virtually no work unless you were in construction,” says Atkins, who says the business interruption insurance on her policy allowed her to sustain Charlotte Bridal during the unquestionably challenging times. 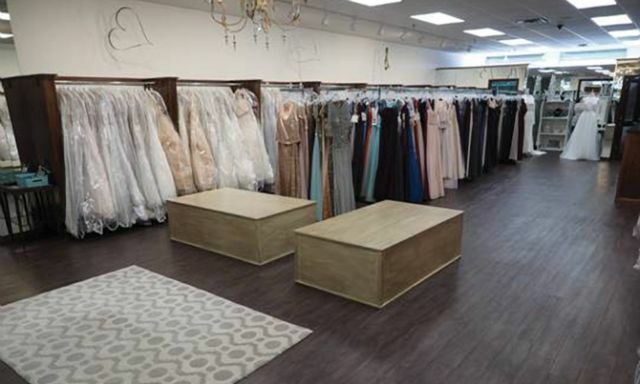 At the same time she operated Charlotte Bridal from a trailer, work crews took Atkins’ 2,300-square-foot storefront down to its studs for a complete rebuild. The insurance paid for the buildout while the landlord supplied the basics such as drywall and wiring. For Atkins, it’s been a tough climb back from Hurricane Charley. The hurricane devastated the shop’s prom business and Atkins has never been able to resuscitate the category. “At first, it was income driven. Now, it’s driven by all the other avenues girls have to purchase prom gowns,” she says of prom business. As Hurricane Irma threatened Port Charlotte this past fall, Atkins admits her stomach turned as weather forecasters predicted 9-15 feet of water. Thankfully for Atkins and Charlotte Bridal, the storm turned at the last minute. If you would like to share your story with VOWS, please e-mail shannon@vowsmagazine.com with the subject line “Hurricanes”. On the headline-grabbing heels of Hurricanes Harvey and Irma, Hurricane Maria whipped through the Caribbean in September before taking direct aim at Puerto Rico on September 20. The Category 5 storm pelted the U.S. territory, home to some 3.4 million residents, with high-speed winds and heavy rain for more than 30 hours that destroyed homes, businesses, crops, livestock and infrastructure throughout the island nation. At VOWS’ press time in October, many of Puerto Rico’s residents remained without electricity and clean water, a reality that made it difficult to contact any of the island’s bridal retailers for perspective on how this catastrophic storm impacted their business.